Every brand needs its share of influencers, advocates, referrers, and loyalists that people trust. Mavrck, a leading all-in-one influencer marketing platform helps business find influencers and brand advocates across marketing functions to harness the power of social proof at every touchpoint in the customer journey. 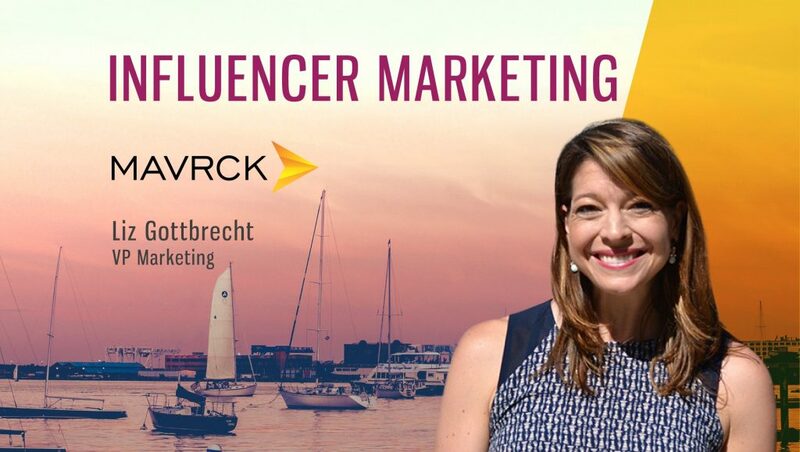 Liz Gottbrecht, VP Marketing at Mavrck, spoke to us about the power of influencers in B2B and their recent Facebook advertising campaigns. Tell us about your role at Mavrck, and the team/technology you handle. As VP Marketing at Mavrck, I manage a lean team that develops the brand’s long-term vision and leads the execution of our go-to-market strategy. I also manage our relationships with external partners (i.e., PR, design, analysts). It’s our belief that the ideas that consumers trust today come from other consumers. Mavrck is the all-in-one influencer marketing platform trusted by companies such as P&G, Godiva, and PepsiCo to harness the power of consumers’ ideas and experiences. Marketers use Mavrck to discover and activate influencers, advocates, referrers, and loyalists to create trusted insights and content for customer journey touchpoints at scale. Unlike other companies that focus on influencer marketing point solutions, Mavrck empowers marketers to take a unified, automated, and performance-based approach to influencer marketing. How did you plan to build this repository on Facebook Content Engagement? Mavrck is a white-labeled, two-sided platform that, when a consumer opts-in, enables marketers to create a relationship with consumers who have influence and do so in a brand experience that is unique to each and every brand. We’re able to capture first-party data through that consumer opt-in that allows us to understand who these influencers are across the spectrum and how to best collaborate with them to generate brand value. With that, we’ve activated more than two million influencers to deliver a multitude of diverse results, including blog posts, videos, ratings, surveys, and photos. We’ve indexed more than 100 million total social profiles and understood more than two billion social posts that those influential consumers have shared organically, which has enabled us to create a unique data layer within our product to allow marketers to understand the dynamics of what’s going on. Who are you targeting with this report, and how could marketers better benefit from such resources? Fraud, transparency, and measurement standards remain an issue across the industry, highlighted most recently in Marc Pritchard’s call for better standards and in The New York Times’ investigation on follower fraud. Our research is designed to provide more visibility and transparency to all marketers. Influencers’ reach and engagement rates are still standard KPIs for many influencer marketing campaigns and programs, and these benchmarks are a reference point that marketers can use to better understand their performance, as well as to flag any indicators of fraudulent behavior. More importantly, a continued focus on impressions and engagements has contributed to the economy of fraud in which we’re operating. While reach and engagement rates can be indicators of influence, we encourage marketers to measure creators’ influence through their abilities to deliver and impact tangible business results – incremental lift in sales, channel or brand performance, and/or efficiencies in investment – time savings, production savings, media savings, or software savings. How does Mavrck help customers with Facebook advertising? We help customers execute Facebook campaigns in a few ways. The first is enabling marketers to execute influencer, advocacy, referral and loyalty campaigns on Facebook. This usually incorporates an integrated influencer marketing mix that can include macro- and micro-influencers creating brand content; consumer advocates and referrers amplifying that influencer-generated content, with loyalists submitting ratings and reviews. All of these elements are necessary for any modern influencer marketing campaign because each reinforces the consumer experience. To be inspired by an influencer’s post only to discover there are less than stellar reviews – or worse, none at all – only creates doubt. We want marketers to work within the full influence spectrum that reinforces consumers’ decisions to buy at every touchpoint. The second is improving efficiencies in media spend by working with marketers and influencers to amplify high performing influencer-generated content. Facebook recently introduced a number of branded content tools to Facebook and Instagram that enable marketers to amplify influencers’ posts directly from influencer feeds to targeted audiences. In doing so, marketers are able to reduce their cost-per-media efficiencies by sponsoring content that’s proven to be relevant and engaging. Finally, marketers are able to get more value from their influencer spend. In addition to amplifying influencer-generated content, we help marketers also improve efficiencies in influencer spend by repurposing influencer-generated content in their owned news feeds, proven to be–on average–seven times more engaging than brand-generated content. The benefits don’t just begin and end with content. 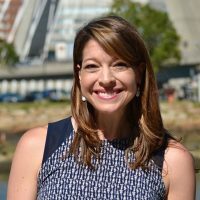 Influencers, by definition, have such rich knowledge and empathy with the same consumers that marketers seek to engage, so to be able to include them in the full process of research, strategy, planning, creative, media, and measurement often leads to incremental market share or competitive advantage. Mavrck enables marketers to leverage an influencer’s full potential. What impact do ads have on the level of audience engagement on Facebook? It always comes down to content. I believe that an ad unit is only as good as the content that is shared within it, and this holds true for Super Bowl ads as much as it does for Facebook. In return, paid enables influencer marketing scale and can bring content to life in new ways, to new audiences. Even when an influencer has hundreds of thousands of Facebook or Instagram followers, the half-life of an organic post on Facebook is 2.5 hours; on Instagram, six hours (a Pinterest post, by comparison, has a half-life of 3.5 months). Now marketers are able to amplify high-performing, influencer-generated content from that influencer’s feed, who consumers already follow, trust, and readily engage with, to a targeted audience of the marketer’s choice – including an influencer’s own audience. We see influencer-generated content consistently outperform brand-generated content. How do Ad Blockers prevent Facebook advertisers from optimizing their adtech budget? 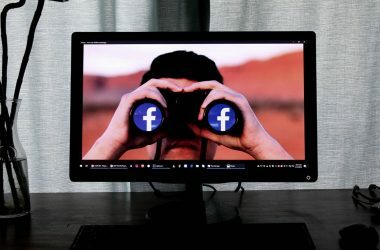 What marketers should keep in mind is that of Facebook’s 1.5bn daily active users, 66% of them are engaging via Facebook’s mobile app, where ad blockers are largely ineffective. That’s not to say that ad blockers are not a problem, but to focus on how it prevents marketers from effectively optimizing their ad dollars only addresses the symptom, not the cause. At the surface level, it’s an issue of ad viewability and measurement. What’s interesting is that the driving forces behind advertisers’ loss in reach and inefficient spend from ad blockers are the same dynamics also driving the ad fraud economy. Marketers are at a higher risk to be charged for blocked ads when those ads are based on exposure, such as reach, impressions, and “viewability.” Targeting ads based on behaviors or actions, in the least, limits spend to consumers receptive to advertising. The bigger issue to address is that consumers are opting out of the ad experience entirely, across all channels and segments. The content and experiences that consumers trust and seek out today are content and experiences from other consumers. Marketers have the opportunity through influencer marketing to empower their customers to generate that trust and content at every touchpoint, and can better optimize their adtech budgets by investing in solutions that scale their abilities to accomplish that. How would the News Feed algorithm evolve to provide better content viewability and prevent promotion of Fake News? When it comes to news feed algorithms, the only thing that’s constant is change. Up until recently, those changes have typically been in favor of what will drive the most revenue for Facebook shareholders. There are indicators that this is changing in favor of improving the user experience. For instance, in response to years of user feedback in favor of a chronological feed, Instagram updated its algorithm to prioritize recent posts. Knowing that news feed dynamics will always be evolving, marketers have the opportunity to diversify their social content strategy to not only engage consumers on a variety of social networks they’re active on but also through those consumers they follow and interact with daily. Fraud starts at the source, as Facebook recently shared – the key to fighting fake news and spam is taking down the fake accounts that spread it. In Q1 2018 alone, Facebook disabled 583M fake accounts. It’s a start, but we’re still a few years away from a news feed algorithm being trained well enough to be able to prevent the promotion of fake news. How do you see the role of AI/ML growing in social media and influencer marketing campaigns? AI and machine learning, while promising, still has a ways to go as a sophisticated marketing function because context is critically important (both Facebook and Google have admitted they’re years away from AI maturity). What’s exciting is that, as we move closer to a world where AI plays a dominant role in designing and implementing social and influencer marketing programs, the efficiencies it brings to life will empower marketers to be more strategic, to be more creative, and to be more innovative. In the near term, AI will enable social and influencer marketing to become more automated and programmatic by applying machine learning to evaluate an influencer’s potential, based on their prior social behavior; recommend influencers based on preference, predicting what level of incentive and content use case is best based on that potential; and predict an influencer’s performance, using models trained on years of historical influencer activations to predict a forecasted result based on a brand’s objective. With this foundation in place, marketers will also be able to better understand a consumers’ influence and the value of the content created in real time, and optimize their campaign accordingly. Thanks for chatting with us, Liz.